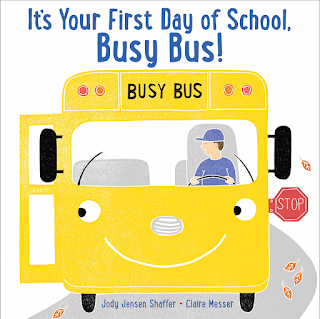 Happy Book Birthday to It's Your First Day of School Busy Bus! by Jodi Jenson Shaffer and Claire Messer. "Will the children have fun riding with me? Busy Bus wonders." 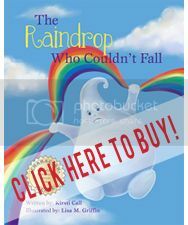 This book is perfect for kids who are just starting school. 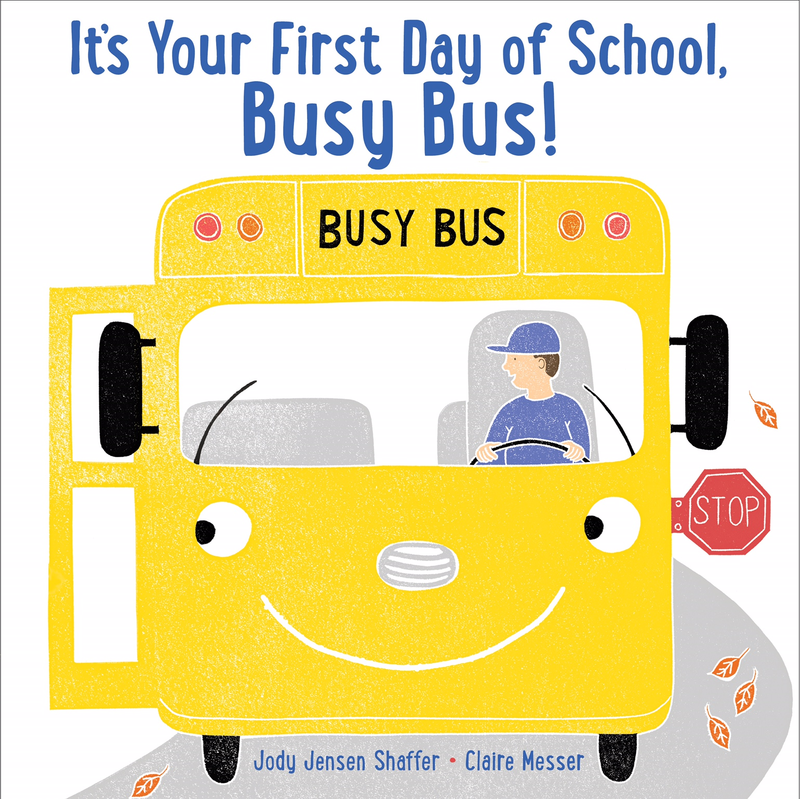 I love the anthropomorphism of Busy Bus and how he worries about the same things that kids worry about on their first day of school. "What if I get homesick? He worries. What if I don't make any friends?" 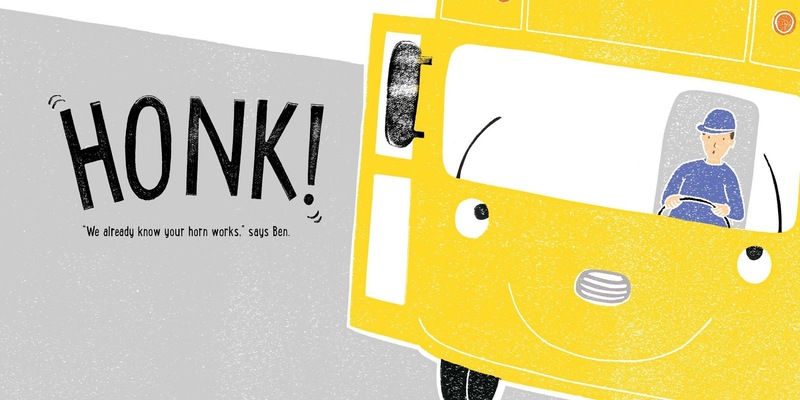 Bright, lively illustrations enhance sparse text sprinkled with onomatopoeia. This book that will evoke discussion about first day of school jitters and help kids understand that they aren't alone---even the bus worries sometimes! 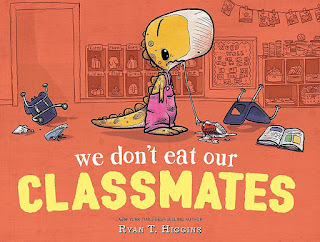 This is a great story to add to your list of back to school books! 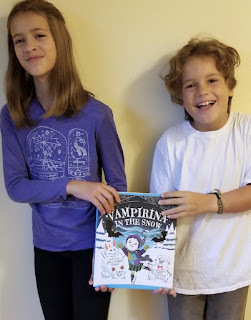 3 Back to School Books You Won't Want to Miss! As school winds down, and we ramp up our summer plans, the beginning of a new school year is the last thing we're thinking about. 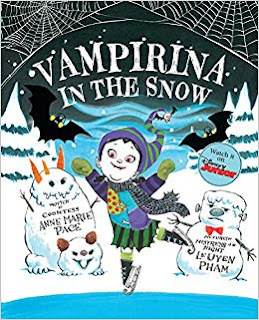 But reading at my house is an essential part of our summer fun, and the following books are ones we'll read, re-read, and discuss before the kids head back to school. "Penelope Rex," her father asked, "did you eat your classmates?" 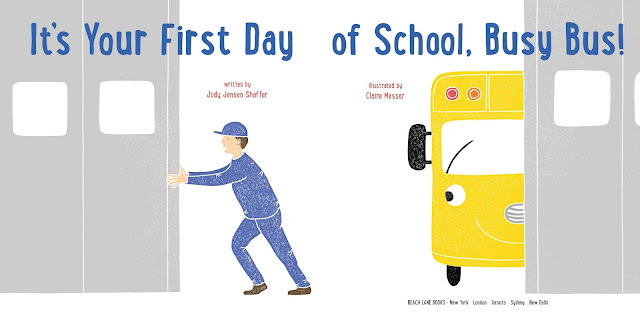 I laughed out loud at this hilarious and heartwarming story of first day of school jitters. When Penelope shows up to school to realize that she's the only dinosaur, the reader realizes trouble is on its way. Expressive illustrations paired with sparse and witty text makes for the perfect read- aloud, and a great way to talk about how kids are feeling about going back to school. You're not quite right today. The substitute doesn't know how to pronounce anything." I love how this epistolary picture book shows the frustrations of a kid whose beloved teacher doesn't show up. 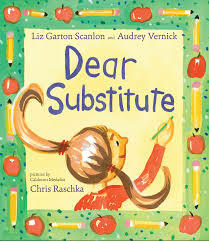 Liz Garton Scanlon and Audrey Vernick skillful word choices are enhanced by Chris Raschka's whimsical illustrations. This story will evoke discussion on flexibility and transitions and giving change a chance. 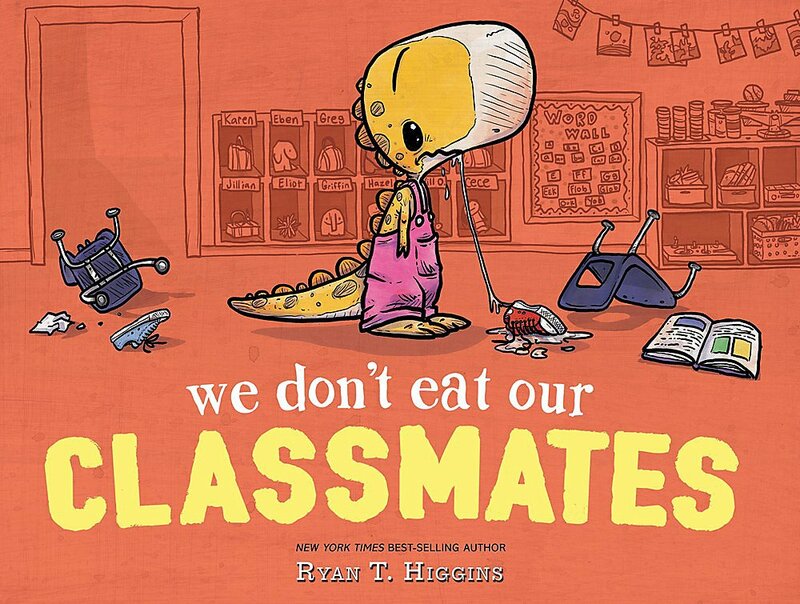 It's an incredibly fun classroom story that will resonate with every kid. "The rickshaw is so full that all of us can barely fit inside. Legs and arms hang out, and we have to hold on tight. My backpack is tied to the rickshaw so it won't fall." Wow. 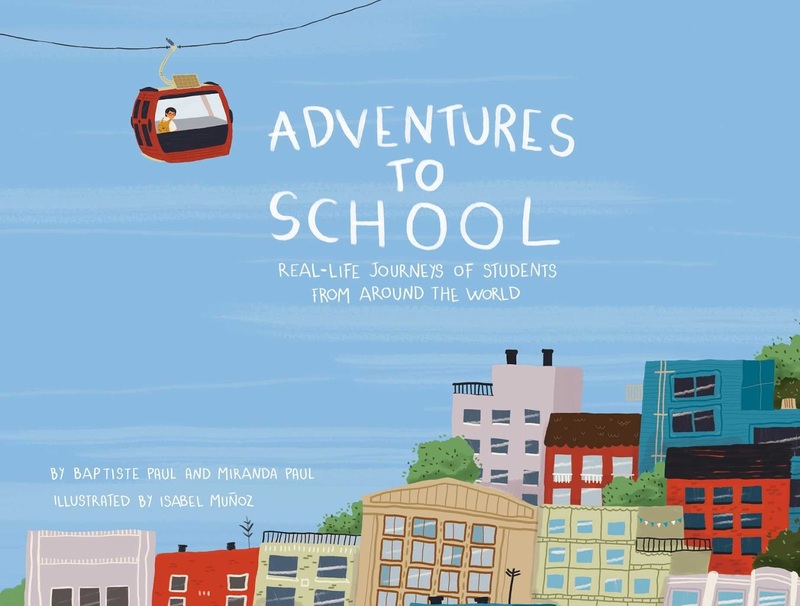 My 7 year old was mesmerized by the stories, the carefully chosen facts, and the idea of kids around the world going to school, just like he does, but getting there very differently. The book evoked discussion and gave us a space to really discuss what life is like in other countries. The illustrations enhance the text by engaging the reader with expressive representations of many cultures. What are your favorite back to school books? Alma Sofia Esperanza Jose Pura Candela had a long name--too long, if you asked her. 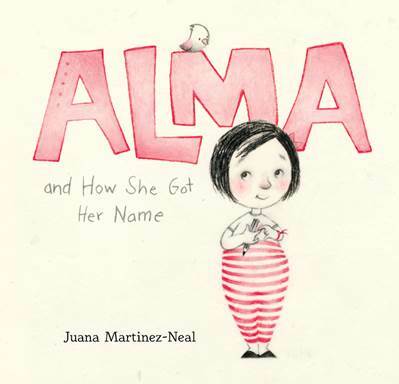 When Alma complains that her name doesn't fit, her Daddy tells her the story of her name. I love how Alma learns about her family and realizes by the end that each part of her name connects her with her ancestors. The illustrations are beautifully rendered with pink for the present and blue for the past. This is a great book for reading with kids and talking about family history, the story of their names and how no matter what they are called, only they can tell their story. 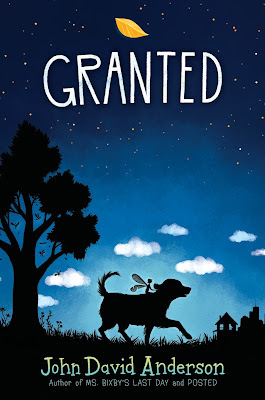 GRANTED by John David Anderson plus GIVEAWAY! I love every single one John David Anderson's books. (Find my interview of him here). 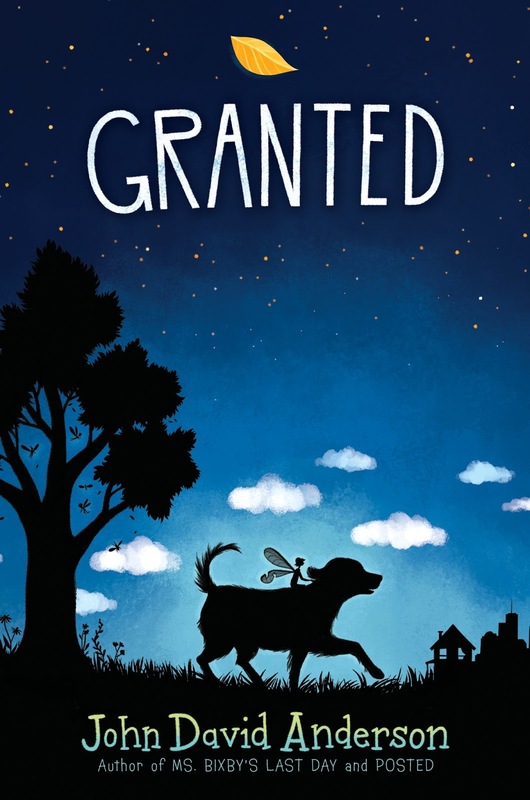 GRANTED was yet another compelling, humorous and heartwarming story. This whimsical book kept me turning the page long after my bedtime. Ophelia is a compelling main character with quirks and weaknesses and strengths that make her likable and relatable. I love the idea of a fairy that is a wish granter. I love the idea of wishes actually being granted by actual fairies. Ophelia's relationship with Sam, the dog, made me laugh. Sam the dog is hilarious and lovable. I especially loved his response to Ophelia's question: "Why are you following me?" Sam: "Because you are broken and lost and I licked you, so now we are friends." Full of plot twists, hope and magic, this story revolves around the themes of friendship and loyalty and breaking the rules for all the right reasons. Everyone who wishes upon a star, or a candle, or a penny thrown into a fountain knows that you’re not allowed to tell anyone what you’ve wished for. But even so, rest assured: There is someone out there who hears it. Ophelia Delphinium Fidgets is no ordinary fairy – she is a Granter: one of the select few whose job it is to venture beyond the boundaries of the Haven and grant the wishes of unsuspecting humans every day. It’s the work of the Granters that generate the magic that allows the fairies to do what they do and to keep the Haven hidden and safe. But with worldwide magic levels at an all-time low, this is not as easy as it sounds. On a typical day, only a small fraction of the millions of potential wishes get granted. And even granting those promised few means navigating a human world fraught with danger. Today, however, is anything but typical. Because today, Ophelia is going out on her first assignment. And she’s about to discover that getting what you truly want takes much more than a handful of fairy dust. 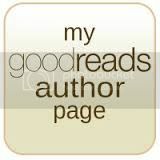 John David Anderson is the author of Ms. Bixby's Last Day, Posted, Sidekicked, Minion, and The Dungeoneers. A dedicated root beer connoisseur and chocolate fiend, he lives with his wife, two kids, and perpetually whiny cat in Indianapolis, Indiana. You can visit him online at www.johndavidanderson.org. For the chance to win your very own copy of GRANTED, comment on this blog. If you share on social media tell me in your comment, you will have another entry for winning GRANTED. Giveaway closes on March 20th. On New Year’s Eve, my 6th grade daughter discovered she didn’t get a part in the middle school play. We prepared her for this possibility. After all, her older siblings didn’t get in as 6th graders either. But Syd’s disappointment didn’t stop her from reaching her goal. On New Year’s Day, she let her feelings fuel a song that she wrote for the drama teacher. Sydney’s words and music had the desired effect. She is now a cast member in her middle school play. And I’m flummoxed. Although I’ve always believed in the power of words, I never thought a child of mine would have the gumption to test it. This new year, Sydney inspired me to rethink my reaction to rejection, think outside the box, and approach my goals in a new way. Reframe rejection. Rejection hurts! But if we reframe our rejection as a success, and not a failure, then everything changes. Every rejection reminds me that I’m submitting and creating–and that’s an achievement! What if my rejections fueled energy for more submissions and research into better places for my work? What if I celebrated after my 100th rejection this year? What if I took what I learned from my rejections, like Sydney did, and turned them into something beautiful, regardless of the outcome? Approach goals differently. Many of my goals exist just so I can mark them off my list. Don’t get me wrong–I want to do them, but there’s no excitement behind them. Sydney’s passion for musical theater helped her make a goal to be in the middle school play, and it helped her reach for that goal even after rejection. As a writer, I must do the same. I need to make writing goals that I’m passionate about and reach for my goal–even after rejection. And if I choose a goal that makes me feel like singing? All the better. 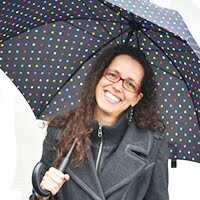 What have you done to improve your writing life? This was originally posted on Writer's Rumpus, here.